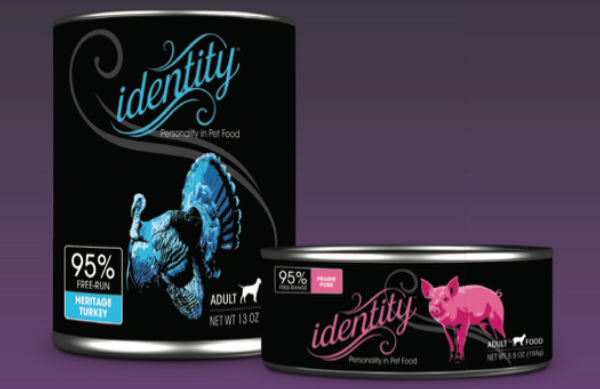 Identity Pet Food canned formulas for dogs and cats are meat-rich with ZERO grains, gluten, potato, legumes, guar/cassia/xanthum gums! They are also 100% antibiotic/GMO/BPA-free. This US-family owned company manufactures the food in Canada and raise their meats responsibly using pastured, cage-free, free-range and wild-caught methods. All meat arrives for processing fresh, never frozen. Stop in both our Pewaukee and Mukwonago stores to learn more or buy! Check out our sales on Fromm Family dry dog and cat foods! Discounts are good through the month of September. Creature Comforts Veterinary Service in Burlington, Wisconsin is offering a spay/neuter package for cats during the months of September and October. Each cat must meet qualifications for this campaign price. Please call Creature Comforts at 262.534.9392 for more information! Spread the word on this great deal! Summer thunderstorms keeping you and your pet up? Or does your pet have an aversion to loud noises in general? Especially with the upcoming Labor Day weekend, we may yet still hear more fireworks! 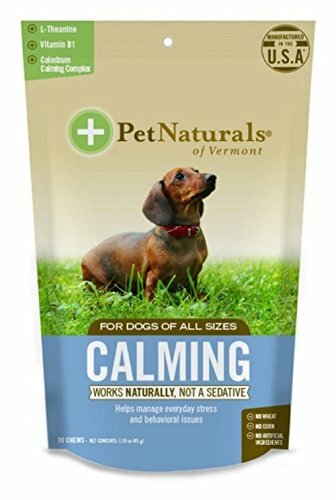 We have many calming and anxiety-reducing product options at End of the Leash. We'd love to help you out! Stop in and chat with our staff and we will help you choose which one, or combination of ones, work for you and your pet! Here are videos on two great choices we offer: July Third by Herbsmith and Pet Releaf CBD and Hemp Infused Pet Products. 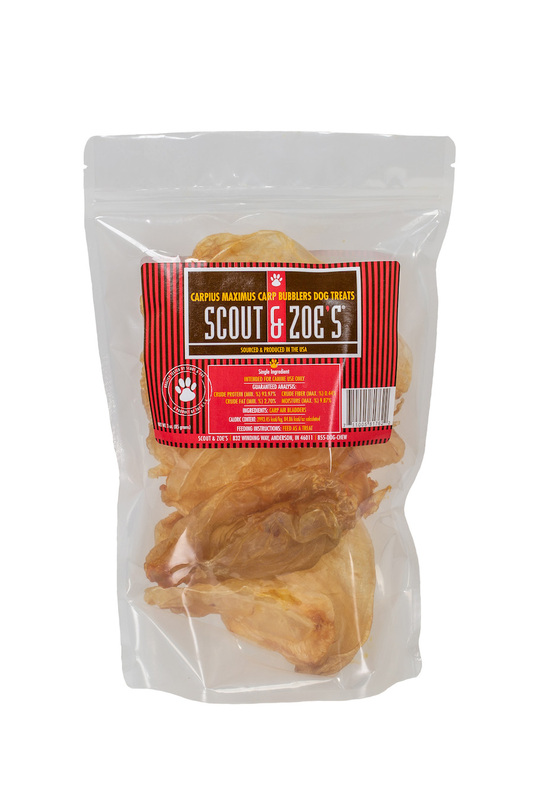 It's the last few days to save on our new Scout and Zoe's treats--$1.50 off through August 31st! Fiona is an 8 year old Lhasa Apso! She is skittish of new people. As you can tell from the photo, her adoptive home will never lack "style" as she is a total diva. 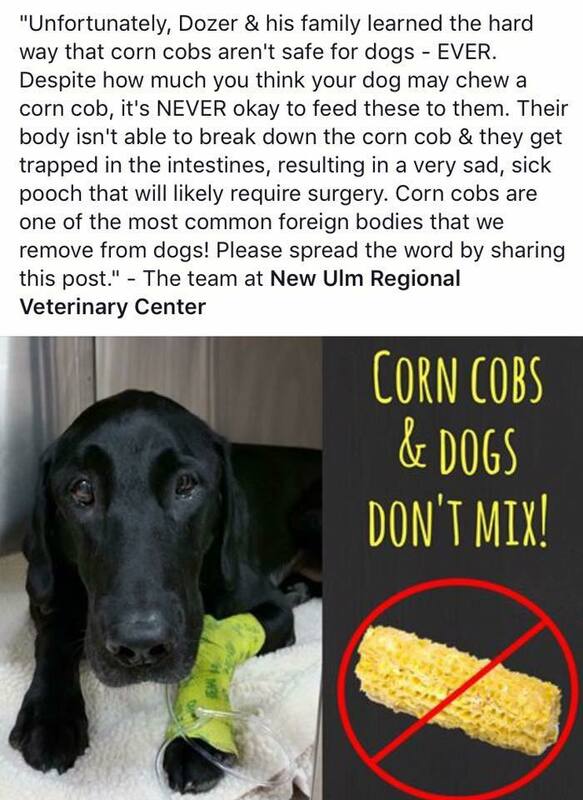 Giving Corn Cobs to Your Dogs--Just Don't Do It! Ah, ears of sweet corn. Those juicy, crunchy, buttery, salty treats of summer! And of course, who doesn't want to share the bliss with their favorite pooch? Well, go ahead and indulge Fido with some nibbles of kernels if you choose, but toss the cob! Be sure to secure the spent cobs FAR and away, in a bag, in the trash bin, in the garage, secure from any sneaky doggie snoops. A dog's body cannot break down the cobs and there's a good chance they will get lodged in the intestines causing a possibly fatal obstruction. Thankfully, Dozer was a lucky boy and recovered. Avoid a possible trip to the emergency vet, or even worse--just say no to giving your dog (or cat!) corn on the cob! Just over a week left to take advantage of the sale on Nature's Logic cat cans--BUY 3 GET 1 FREE! 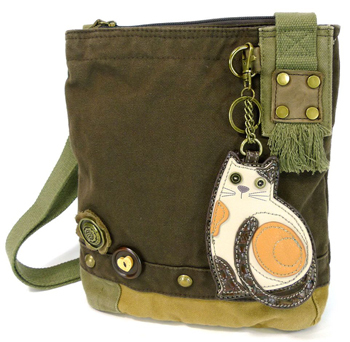 Make your kitties happy and stock up before the sale ends on August 31st! Whether you have an injured or ailing pet who can't or won't eat, a finicky eater, or just want to give a special treat to your furry companion, bone broth is the crème de la crème for all of the above! It's easy to make your own (and good for you, too! )...OR, stop in at End of the Leash for some great options for bone broth for your pet by Honest Kitchen, Nature's Logic and Stella & Chewys. In the following video, Dr. Karen Becker takes you into her own kitchen and whips up a batch of bone broth for her dog, Ada. If you'd like to read the full article, check out the link on healthypets.mercola.com: "Bone Broth: The “Soul Food” Perfect for Sick Pets Who Won’t or Can’t Eat"
Zoe is 3 years old. She has some special needs, but the family that works with her will receive her loving stares. She is active, cuddly, and vocal. Do not forget it is about to get snowy, and you will not regret adopting Zoe! Cat owners especially are very concerned about the toxicity of houseplants and the health dangers they pose to their felines. 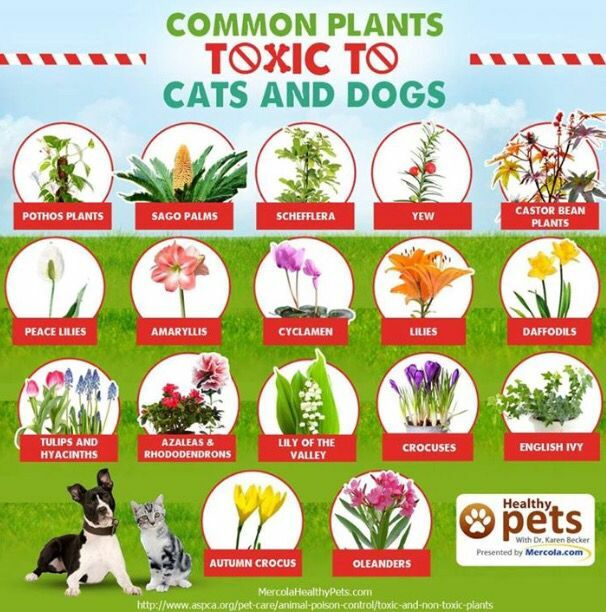 But dog owners should also take heed; it's not just houseplants but outdoor flowers, bushes, and other plants as well! 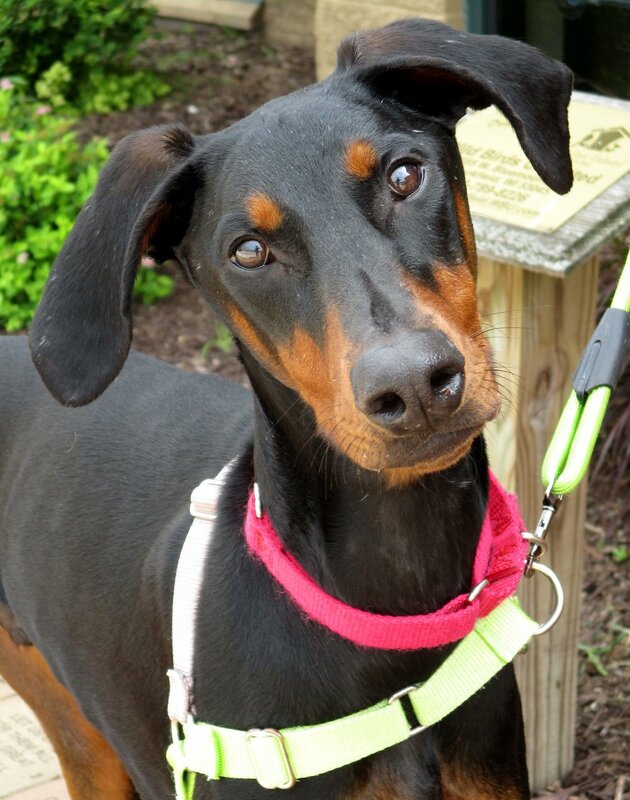 Ruger is is a 1 year old Doberman Pinscher. He has a fun and energetic personality! He will alert bark, so his future home cannot be an apartment or condominium. Once you earn his trust, you will have a best bud for life. At End of the Leash, we strive to provide you with food, treats, toys, and healthcare products that give your pet all she needs to help her reach her happiest and healthiest potential. Summer is still here, so we've put together a few things we think are important for your furry friends to enjoy summer safely and have plenty of energy to do it! Many of the ingredients in human sunscreens are toxic to dogs. Make sure you are using a pet-safe product such as My Dog Nose It for your precious pooch--a natural, safe and water resistant sun protector for your best friend! Proudly Made in the USA. My Dog Nose It was created to keep your best friend safe from the environment they love to play and be in! Completely natural and water resistant, this paraben-free sun protector is safe to use on any Fido or Fifi. Stop in at End of the Leash to look into this and many other helpful summer products for your pets! Introducing Small Batch, again! 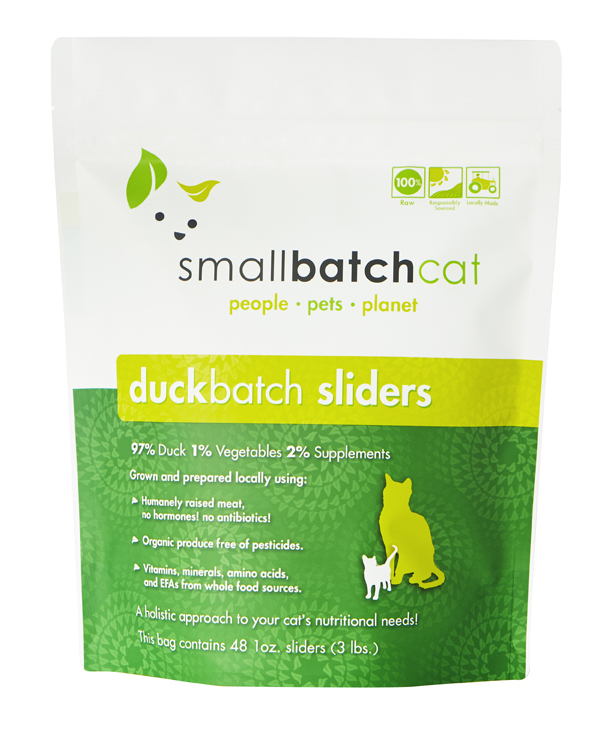 Our stores will both be receiving in the Small Batch frozen foods this week for both cats and dogs. We already have the freeze dried food as well as treats. Come see us to learn more, or get some details from one of our previous blog posts: Introducing...Small Batch! We take great pride in our sourcing, using wonderful local farms and ranches. Just ask us and we’ll tell you who they are! Additionally, we strive to only use meats that are free-range, pasture raised and always free of hormones and antibiotics. Our produce is 100% certified Organic and our supplements are always pure, organic, and unrefined. No HPP (high pressure pasteurization) always 100% raw, the way nature intended. We love Dr. Karen Becker of Mercola's Healthy Pets! Once again, she comes through with an excellent and indispensable article on creating a first aid kit for our animal companions. It's easy, and once you've put it all together it will be at the ready for nearly any emergency you may encounter. We've made it even easier for you by slightly condensing the article into a 2-page article/list of everything for your first aid kit! 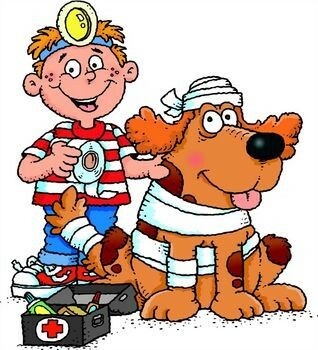 To read the article in its entirety: Are You Prepared for Emergencies with a Pet First Aid Kit? Baxter is a 12-year-old cat. He has previously lived with a cat and a dog. Being older he has a mellow personality and he would like a calm house where he could take constant cat naps. As always, End of the Leash is continually searching and researching for the best treats, toys, food and good stuff for you and your furry companions...and the planet! Here are some of the newest items we have for you in store. Come over and check them out! Himalayan's Loom Toys empower the women of Nepal. 100% of the profit Himalayan makes on the loom toys goes directly back to Women's Skills Development Organization (WSDO) in Nepal. 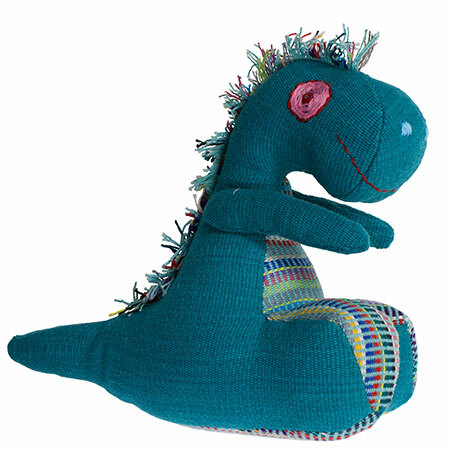 The fabric of these toys is 100% cotton that is hand-woven, dyed with natural products like pomegranate, tea and copper, and then stuffed with allo wool. 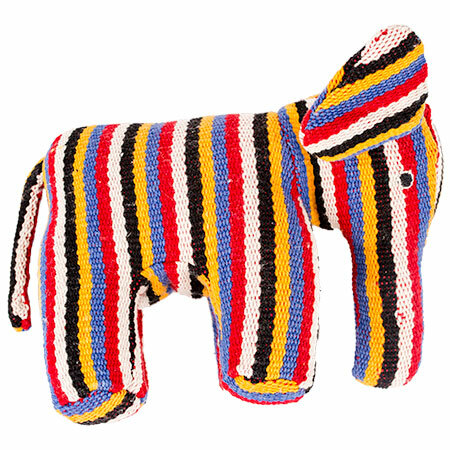 They are truly beautiful works of art and labors of love as pet toys! Himalayan also makes felted wool toys. They are made from 100% wool with all natural dyeing materials, are chemical free with no rubber core, durable, and biodegradable, too! 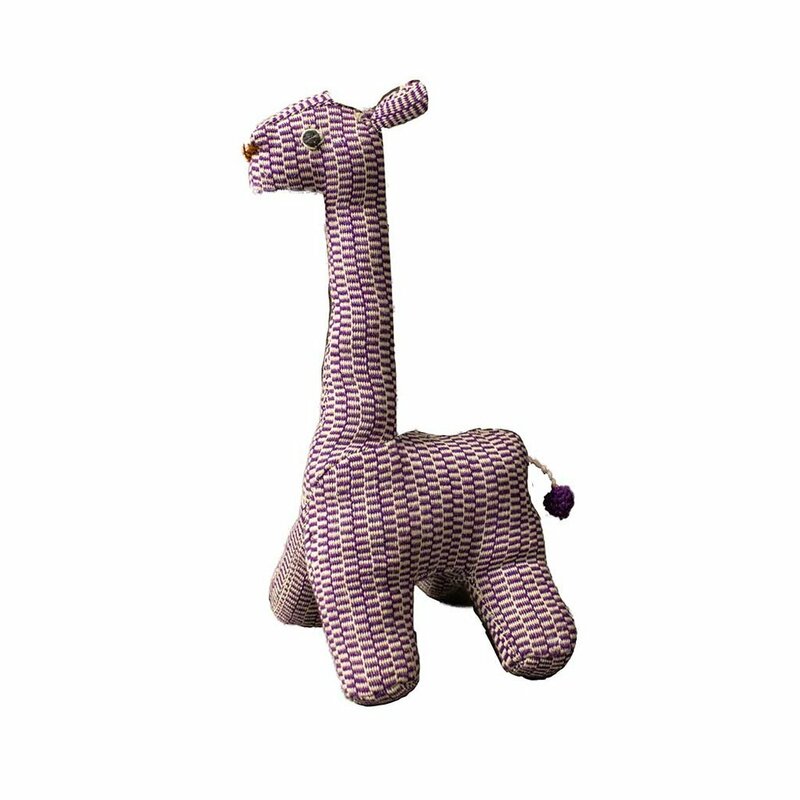 EOTL carries Himalayan's Felty Bones, Felty balls, Felty rings, as well as the elephant, whale, dino and giraffe Loom Toys. End of the Leash carries all flavors--duck, lamb, red meat, game bird, grass-fed beef, and chicken. Each treat is high in nutritional value due to an abundant concentration of Omega-3 fatty acids, which are associated with prevention of kidney protection, overall well-being, and diseases caused by aging. Carp are free from pollutants such as PCPs, Mercury, and other metals due to their filter-feeding mechanisms. “Unlike what may happen at other pet treat companies, I actually eat the pet treats myself,” noted Cindy Dunston Quirk, Founder of Scout & Zoe’s Premium Pet Products. A friend of the environment, Dunston Quirk selected carp in part due to the impact it has on rivers and lakes; carp are known to be prolific and to clog the waterways. The company helps American waterways by using the services of local fishermen to gather the invasive carp, which are then turned into treats by a family owned contract manufacturer and then packaged by adults who are intellectually disabled and are learning job skills to help them live life on their own terms. End of the Leash carries all of the above carp treats as well as several of Scout & Zoe's other treats, including Banana Carrot crunchy cookies, and many dehydrated offerings such as Chicken & Apple Bites, Chicken Jerky Sticks, Duck Delights, Ox Tails, Green Tripe Sticks, Honey Baked Ham, Veggie Hearts, Salmon Coconut and Venison Jerky. Nails by Jamie will be here this Saturday, August 4th, from 9am-1pm to clip your dog's nails! $10 per pet, no appointment necessary. At our Mukwonago store only--sale on overstocked OC Raw Fish and Produce flavor. $8 off a 6.5lb bag WHILE SUPPLIES LAST! 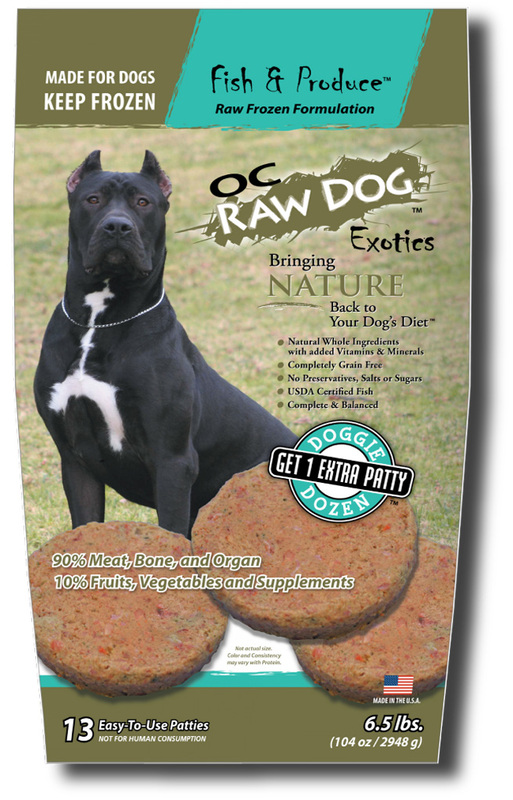 Click here to visit OC Raw's website for more info on their excellent line of raw food. We had a spectacular time Saturday! 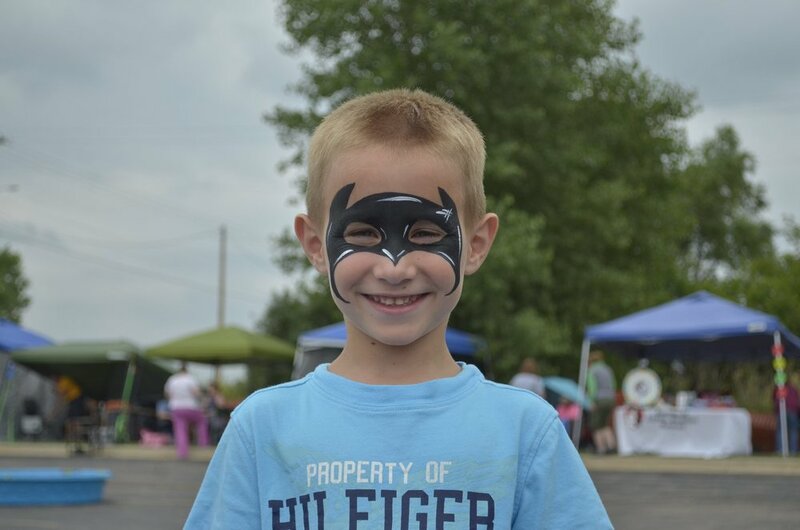 Our Customer Appreciation Day (Summer Fun Event) was an absolute hit! THANK YOU to everyone who attended and made our 4th annual event spectacular, and one last shout out to our sponsors, Born Free Pet Food, Champion Petfoods, Earthborn Holistic Natural Food For Pets (including Venture and Propac), Ewegurt, Fromm Family Foods, Fussie Cat and Zignature, Health Hut, Momentum Carnivore Nutrition, Nature's Logic, OC Raw Dog, NutriSource Pet Foods (including Natural Planet and PureVita) and Stella & Chewy's. ALSO...congratulations to our prize winners from the day's raffles! Congratulations Deb, Pam, Lori, Carol, Tracy, Monique, Terry, Rita, Sandra, Peggy, Sheila, Deb, Melody, Julie, Angela, Sharon, Cecelia, Tammy, Dawn, Roxanne, Beth, Cathy, Nancy, Kristin, and Sharolynn! Here are just a few of the fun memories from the day. We hope you will all join us again next year! Zoey is a 5 year old Pitbull Terrier Mix. She is a cuddle bug after you earn her trust. 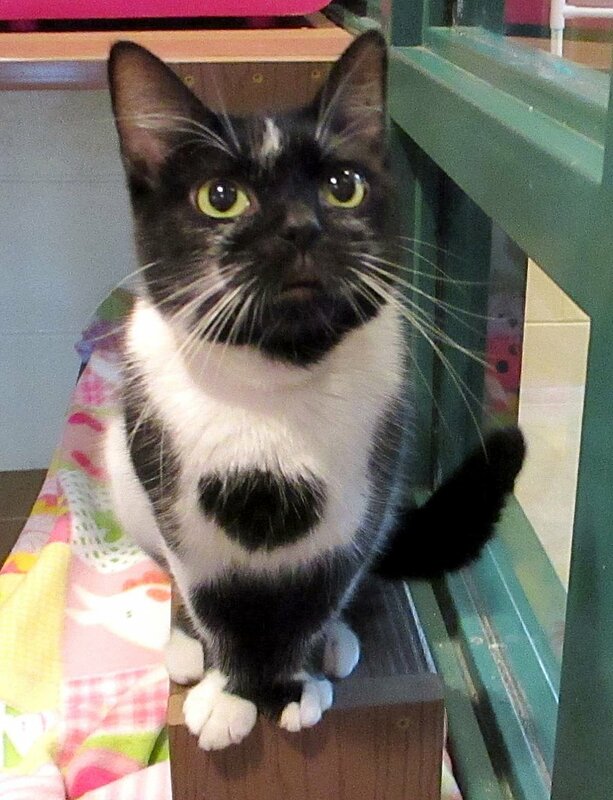 HAWS staff will tell you, she has the best kisses in the kennel. She likes to go on slow walks in the park, but will also lounge all day. 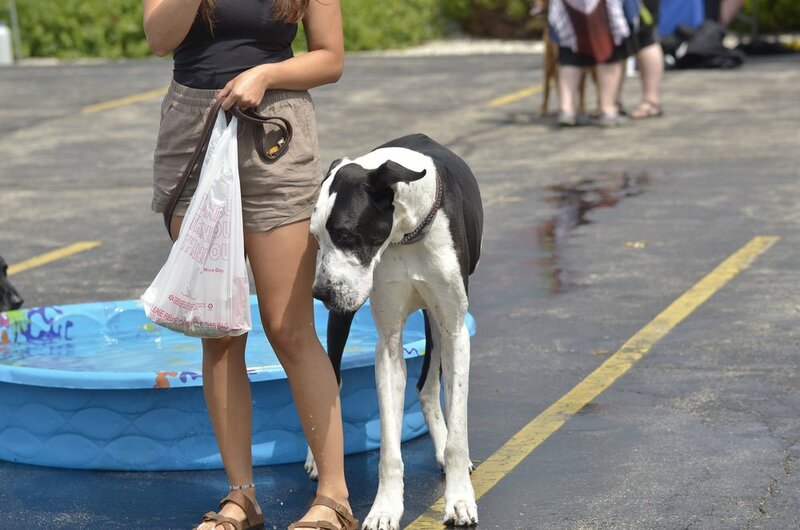 We hope you and your furry friends will join us at our Mukwonago location this Saturday, July 21st from 10am-3pm for our 4th Annual Customer Appreciation Day! EOTL is featuring generous ONE DAY sales, including $10 off dry food and $8 off raw food! Don't miss demos and huge sales from our neighbor, Health Hut! Enter to win some great prizes by completing the Splash Log (available at the Welcome Table or from our staff members)--including a $75 gift basket, 4 tickets to state fair and more! 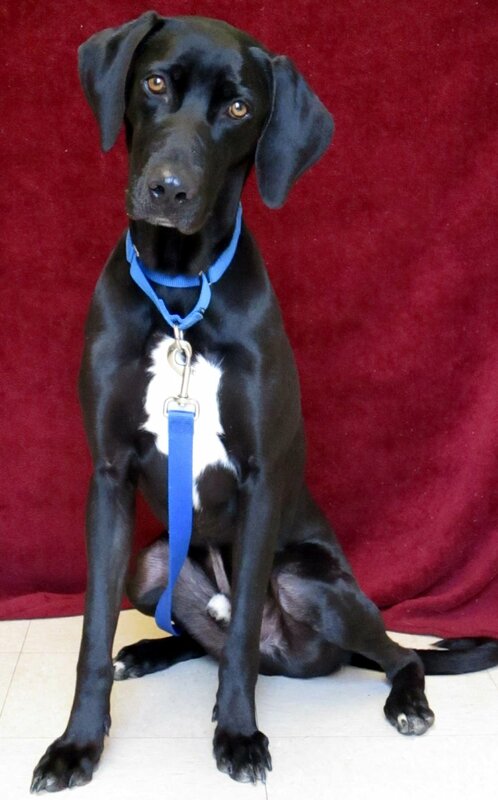 Ella is a 3 year old Pointer Mix. She would do best in a home with teens and older. At first she is shy but earning her trust is worth it! She enjoys her food so much that she should be the only pet in the home. We have new treats in stock--dehydrated goodness from Bare Bites! We carry the Bare Bites (liver), Bare Bits (liver powder), Bare Breasts (chicken), Yam Jams (sweet potato), and Brew-Yahs (spent grain). To learn more, click the product name links or visit www.barebites.com...or stop in our stores! We want your dogs to thrive not just survive. Millies Wolfheart only sells completely Gluten and Grain Free dog food products and we specifically exclude Chicken and Eggs from all of our recipes. We have spent a considerable amount of time formulating the ingredients which have been individually researched. Our recipes contain mainly meat, fish, and poultry(all named) proteins which are complete proteins and are far more digestible for dogs than plant derived proteins. We have worked directly with leading nutritionists to ensure our food will help your dog live a healthy and happy life. Natural ingredients which are ethically sourced in the U.S. are used in Millies Wolfheart and we are wholly committed to keeping it that way. Gluten, Grain, Corn, Rice, Eggs, Chicken, Beet Pulp, Artificial Colors or Synthetic Preservatives. Childhood friends and pet lovers David Neuwirth and Robert Eichner created Pet House brand candles knowing that a smell-good-house is one goal of all pet owners. Pet candles are an incredibly popular home accessory and gift item for pet-owners and non-pet owners alike and they created a safe and healthy product we think you will love! Pet House brand candles and air fresheners are pet safe (made with 100% natural soy wax and no dyes, scented with essential oils) and the candles are pretty enough to display on your dining room table. End of the Leash carries stocks 7 varieties of Pet House candles, 4 varieties of room sprays, and 4 different car fresheners. Made in the USA! Smores is a 3-year-old female Rex rabbit. She is active and loves to run bunny 500's. Her adoptive home should keep in mind everybody needs somebunny to lean on. Did you know that July 5th is the busiest day of the year for animal shelters? 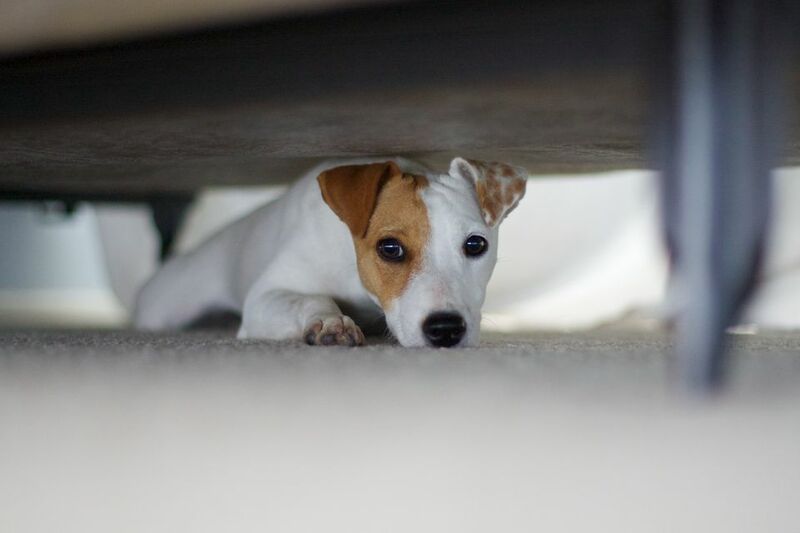 Fireworks noise, smoky smells, parties, the chaos of many people in your home, barbeque food and drinks, summer games and activities--all the unfamiliarity may strike fear into many pets, causing anxiety, disorientation, and at worst, escape from your home to find safety and quiet. These can easily be prevented by following some simple guidelines to ensure your pet's safety and well-being. Dr. Karen Becker of Mercola Healthy Pets has an excellent list of 10 guidelines to help ensure your pet is comfortable and safe during the holiday. DO ID your pet. In the event your pet is lost during all the confusion and commotion of holiday get-togethers, make sure he or she can be identified with an up-to-date ID collar or tag, permanent tattoo, or microchip. Even if you feel there's no way in the world your dog or cat can escape, it's better to expect the worst and hope for the best. DON'T apply human sunscreen or insect repellent to your pet. Make sure to use products designed specifically for your dog or cat, or that are vet-approved, all-natural human sunscreens. If your pet happens to ingest a sunscreen product, it can cause excessive thirst, drooling, vomiting, diarrhea, and lethargy. Insect repellents containing DEET can cause neurological problems in pets. DO keep party and barbeque foods out of reach of your pet. Feed your dog or cat his regular diet for the holiday, and be especially careful to secure potentially toxic people foods like chocolate, coffee, onions, grapes, raisins and bread dough. Consuming the contents of the grill grease trap is a common cause of summertime pancreatitis in dogs, so make sure to keep Fido away from the grill, in general. DON'T give your pet access to glow jewelry. If eaten, it can cause excessive drooling, GI irritation, and potentially, intestinal blockage. DO keep alcoholic drinks out of reach of your pet, and insist your guests do the same. Beer, wine and liquor can poison your dog or cat. Depending on how much is ingested, your pet can become very intoxicated, weak, depressed, and can even slip into a coma. Severe alcohol poisoning can result in death from respiratory failure. DON'T force your pet into a costume for July 4th. Unless your dog (or even less likely, your cat) loves to play dress-up, don't push the issue. Make sure anything you dress your pet in is comfortably loose and doesn't constrict movement in any way. Also remember, it's July and your pet can easily get overheated. DO keep citronella candles, oils, and insect coils out of reach of your pet. Ingestion can cause stomach irritation and potentially, central nervous system symptoms. Inhaling the oil can cause breathing difficulties and aspiration pneumonia in pets. DON'T take your dog or cat around backyard or neighborhood fireworks displays. And make sure to store personal fireworks where your pet can't get them. Pets have been known to swallow unexploded firecrackers, and it's also important to remember that an animal's fur coat is highly flammable. DO keep matches and lighter fluid out of reach. Some matches contain chlorate, which can damage blood cells, impair respiration, and cause kidney disease. Lighter fluid can irritate your pet's skin, and if ingested can cause GI upset and central nervous system depression. Inhaling lighter fluid can result in breathing difficulties and aspiration pneumonia. DON'T allow your pet outside, especially after dark. If she'll be within range of the sights and sounds of fireworks, try to secure her in a room without windows. Create a safe haven with bedding, a toy or two, and a few treats. Turn on a TV, radio or other music to help muffle the noise from outside. Leave someone at home with your pet if possible, but whatever you do, don't leave her outside alone. If she becomes frightened, even a fenced yard may not keep her safe. Dogs have been injured while making panicked attempts to escape their yard, and those that succeed can run away, be hit by a car, or stolen by a stranger. End of the Leash has several calming options for your kitty or pooch--here are just a few. Stop in one of our locations and we can discuss which product is best for your pet! Stella & Chewy's has two new ways to make your dog's meals balanced and full of nutrition! We now offer these at End of the Leash. Our all natural bone broth is slowly simmered in small batches and brimming with taste and nutrition. We add real cage-free chicken or grass-fed beef for a taste and topper your dog will go wild for. Serve as a treat or topper to your dogs meal. Judge is almost 2 years old and he is a Great Swiss Mountain Dog Mix. He would do best being the only pet in the home. Judge is very sweet and enjoys playing! Both our Mukwonago and Pewaukee stores will be closed on Wednesday, July 4th. We will reopen at 9am on the 5th! We hope you have a memory-filled, happy Independence Day! We are excited to announce our latest food addition--Small Batch! We have freeze dried entrees and treats in stock now. Frozen raw will be coming soon! We only use fresh whole vegetables and herbs that are certified organic, non-GMO and free of pesticides. Our supplements are of the highest quality and in their purest form; organic unfiltered raw apple cider vinegar, 100% pure salmon oil, and sustainably harvested organic ocean kelp to name a few. We only use all natural certified humanely raised and harvested meats. In addition, our meats are hormone and antibiotic-free from start to finish and we strive to use organic meat whenever possible. Our beef and lamb are always pasture raised and our poultry and rabbit are always free-range. It’s simple—raw means raw! For this reason, we do not sterilize, pasteurize or irradiate any of our formulas. Also, we never add a synthetic vitamin pack. We deliver raw nutrition the way nature intended. If you would like to participate in dock diving, registration and fees are available at Pier Pups, LLC. The dock diving is sponsored by Born Free, Champion, Earthborn (including Propac and Venture), Ewegurt, Fromm, Health Hut, Momentum, Nature's Logic, OC Raw, Pets Global (Fussie Cat, Zignature), Pure Vita and End of the Leash. Eli is a 10 year old Domestic Short Hair. At HAWS, he has been an active, talkative, and social cat. If you're looking for a mature but extremely friendly guy--he is the one! 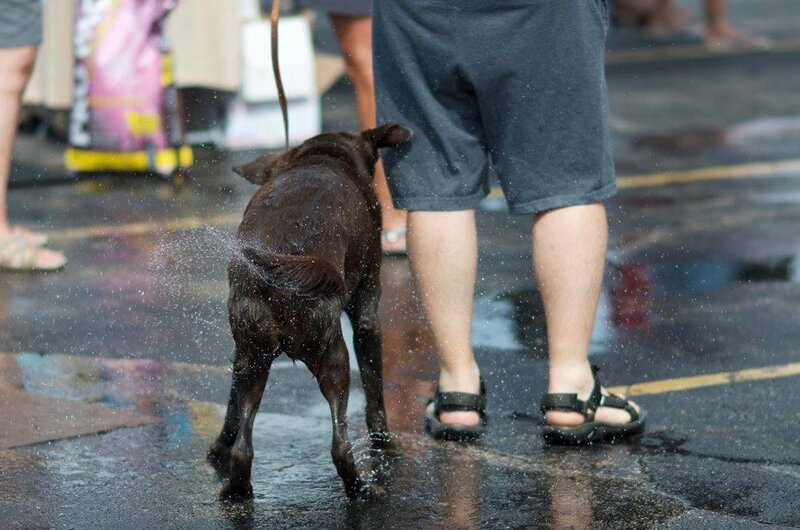 Summer is here, and that means more opportunities to enjoy the warm weather with your canine companion! And don't forget: our Summer Fun (Customer Appreciation) event in July! Here are all the details. We have over 20 vendors who will be here sharing their knowledge of their products and providing samples for your pet to try. 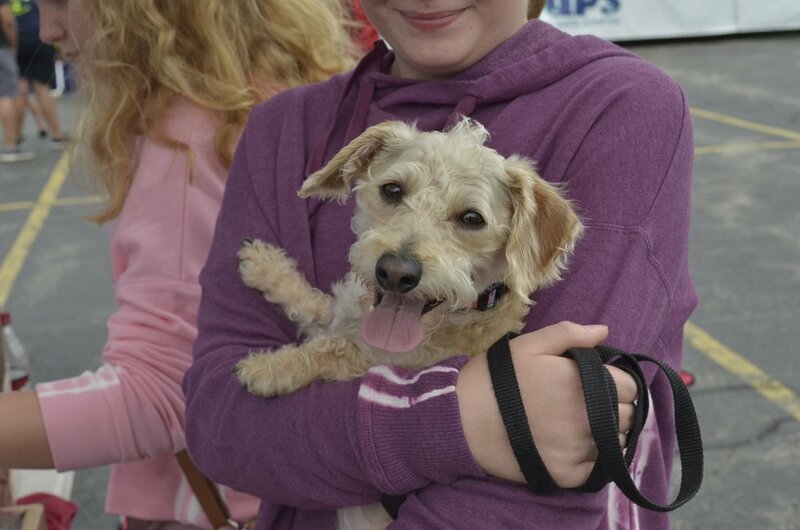 Various rescues will be here as well, like the folks from Arrow, Bichon & Little Buddies, GRROW (Golden Retriever Rescue of Wisconsin), Elmbrook Humane Society, Lakeland Animal Shelter, and more! A delicious variety of food will be provided again this year by Winston's Wishes! Our friends at Health Hut will be joining the fun this year! Don't miss the chance to visit all their demo booths and talk to their vendors. Enjoy these memories of our Summer Fun Days so far. We hope to see you there this year and make lots more! This week we are featuring Oliver again! He is a 4 year old Plott Hound Mix. Oliver is your typical hound as he enjoys using his nose to explore the world around him--he reminds us of Mr. Twist in Charles Dickens' novel. 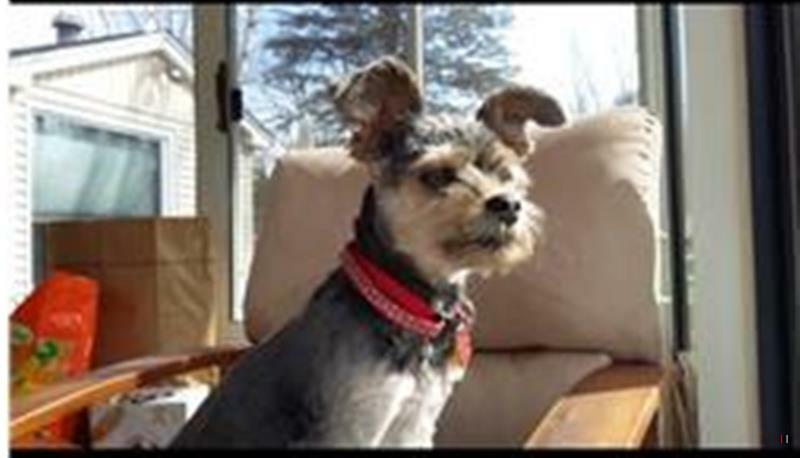 He came to Wisconsin from Florida where he was found as a stray and he is now looking for his "furever" family! Save the Date for EOTL's Summer Fun Day! Mark your calendars now for our 4th Annual Summer Fun Day 2018!! 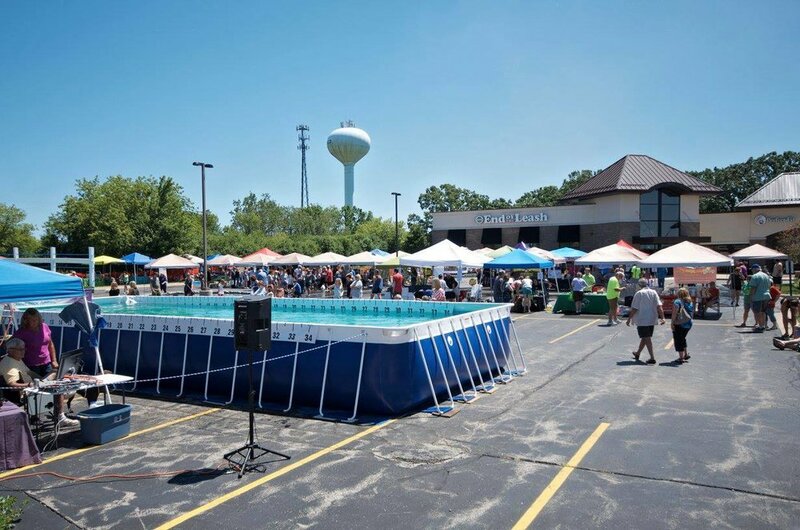 This year's event is set for July 21st at our Mukwonago store from 10am-3pm. Come have fun with us and Pier Pups! Hope to see you there!!! From our Summer Fun Day 2015. Our friends at Health Hut will be joining the fun this year! Don't miss the chance to visit all their demo booths and talk to their vendors! and End of the Leash! Various rescues will be here as well, like the folks from Arrow, Bichon & Little Buddies, GRROW (Golden Retriever Rescue of Wisconsin), Elmbrook Humane Society, Lakeland Animal Shelter, and more! A delicious variety of food will be provided again this year by Winston's Wishes! Keep watching our Facebook page for HUGE Summer Fun Sales and additional Vendors! We now have Fromm's new Rancherosa for dogs on our shelves! Rancherosa is a grain-free entrée in Fromm's Four-Star line, specially prepared with beef, pork, pinto beans, trout, and lamb, together with butternut squash, and inspired by life on the range. Amanita--Death Caps--are they in your yard?? Not too long ago, I happened upon a heartbreaking headline from an online news source. It read, "A warning to pet owners: Two dogs found dead after eating poisonous mushrooms from owner's yard." Below the headline were pictures of the dogs, a gorgeous 3-year-old Saint Bernard named Drago, and Adoni, a handsome 8-year-old Lab mix. When the dogs' owner returned to her home in Wake County, North Carolina on a Sunday in March, she found them dead. Four other dogs in the home were stumbling around and vomiting. A veterinarian found traces of Amatoxin, a poisonous substance found in certain mushrooms, in the dogs' blood. 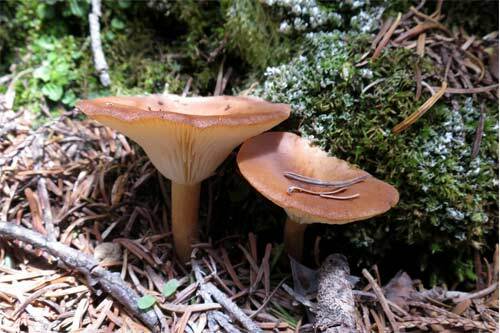 Apparently they had ingested Amanita mushrooms, also called Death Caps or Death Angels, which are the most lethal mushrooms in North America. When ingested, they cause liver failure. Currently, no antidote exists. The dogs' owner didn't realize the mushrooms were growing in her yard, under mulch, and hopes telling her tragic story will help educate other pet parents. 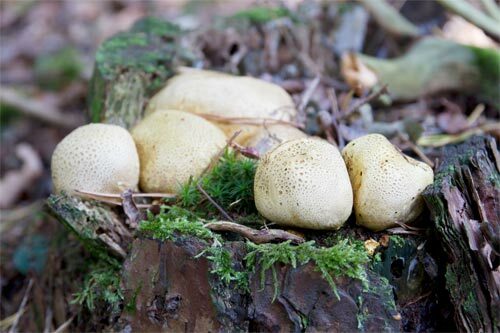 Please read over the entire article to determine if any of these wild mushrooms are taking up residence in your yard. They all pose a serious risk (even death) to your pet's health if ingested. The Amanita Phalloides and Inocybe seem to be the most attractive to dogs because of their fishy odor. 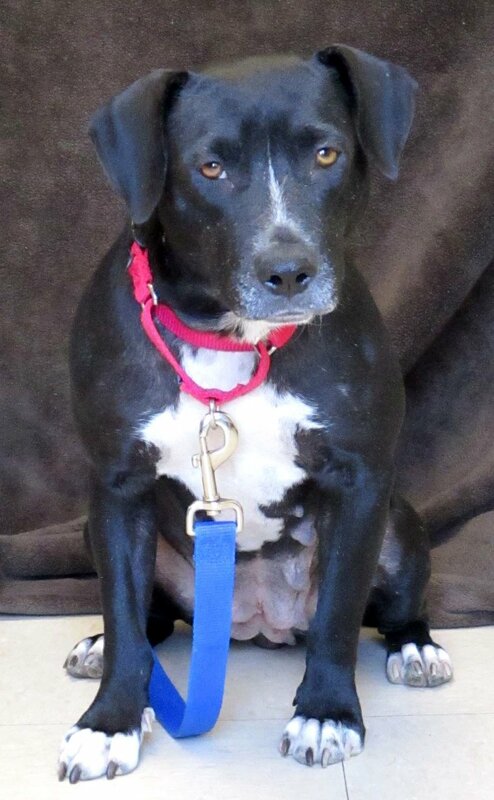 Oliver is a 4 year old Plott Hound Mix. Oliver is your typical hound as he enjoys using his nose to explore the world around him. Oliver takes after Mr. Twist in Charles Dickens's novel. 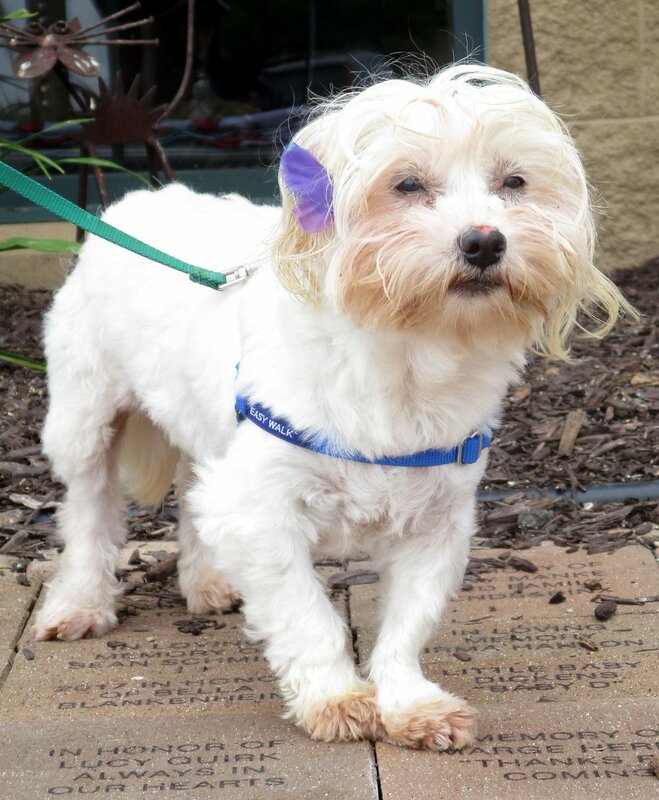 He came to Wisconsin from Florida where he was found as a stray and he is now looking for his "furever" family! Mother Nature seems to have sidetracked Spring this year in the Midwest--it started quite late, and now we are already having hot Summer temps! So this means putting our safety caps on and being careful not to overdo long walks and outdoor play, and being strategic when we do go out. We've created a consolidated list for basic Summer safety tips, and provided a few links for even more details. Enjoy the outdoors and stay safe, too! How hot is the road? HOT ASPHALT AWARENESS! Don't forget, your dog can get sunburned too! Piper is a 1 year old Spaniel Mix. Is your household looking for a dog that has done well with other animals at the shelter and has been very social with people? If so, she is a must-meet dog for you. Give her 5 minutes of your time and she will leave you charmed! 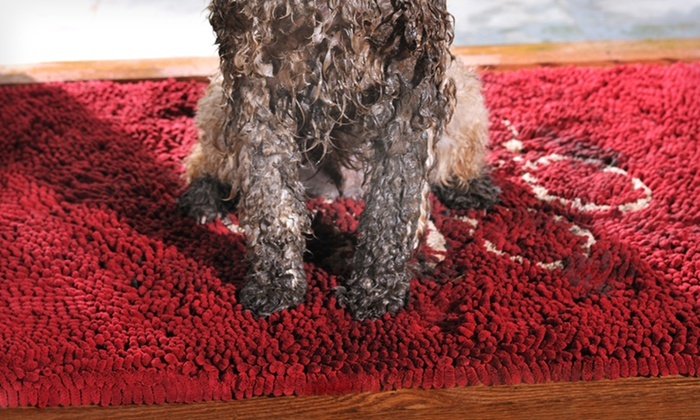 Fleas and Ticks and Mud, Oh My! Ticks are out in full force and Ruff on Bugs is our newest line of defense. See below for all the details on this excellent product! We also stock many other natural flea and tick prevention products, so stop in to discuss your options with us! Spring fever has sprung...has your pet gone missing? Don't give up your search!! In addition, if you live in Wisconsin, be sure to utilize Lost Dogs of Wisconsin at https://www.facebook.com/findfido/. Social media can be a critical asset to spreading the word quickly for people to keep a look out for the animals that are lost. Be sure to check out their pinned Facebook post--they have info on what to do if you have lost your pet, OR if you have found a lost pet! They also provide a link to an online form you can fill out to get your lost or found pet in the free search directory. 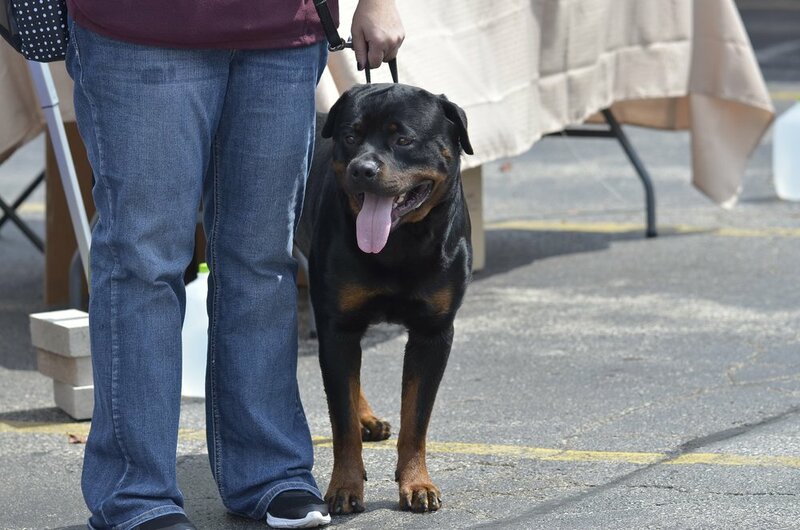 Nails by Jamie will be here this Saturday, May 19th, from 9am-1pm to clip your dog's nails! $10 per pet, no appointment necessary. 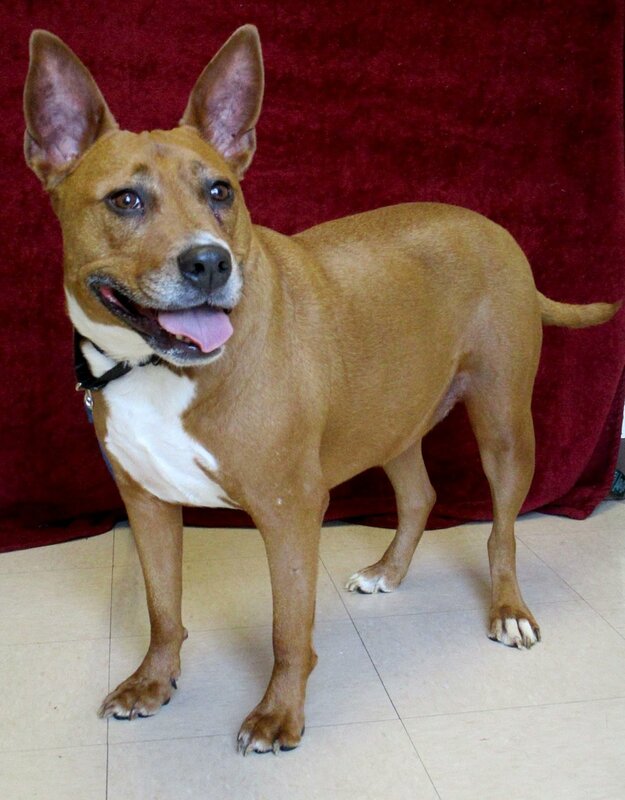 Zoey is a 5 year old Pit Bull Terrier Mix. She has lived with children and cats before. She has a lot of love to bring to her adoptive household which is why she's so thick, but we are working on losing some weight. She is a very fun and playful girl! There's nothing like a Mother's love--both for us humans and for our animal companions. And Mothers selflessly take care of everyone else, usually with little time to get something special for themselves. 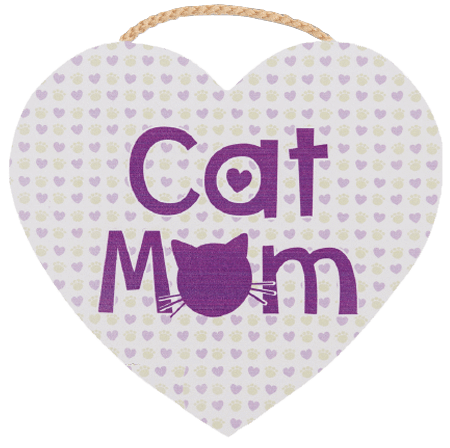 Moms of all kinds will just love the array of gifts you can find her at End of the Leash! 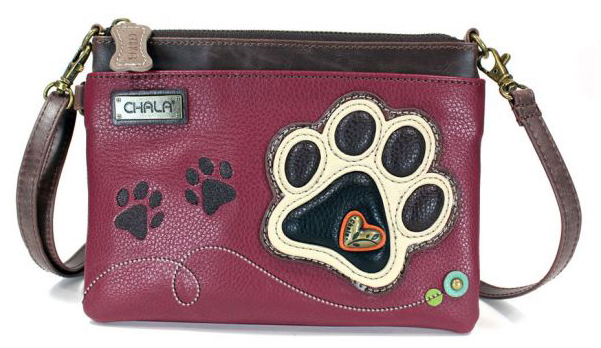 Show your appreciation for her with an adorable Chala bag, fabulously fitted t-shirt, a practical mug for her morning coffee, a plaque, pet treat bags and more. And don't forget we have gift cards, too! Don't miss this month's sale on Nature's Variety Instinct! Cheyenne is a 12 year old Lab Mix. She has done very well with handling and new people here at HAWS. She is very social and loves to walk! Purcy is an 11 year old Domestic Long Haired Mix. The original owner passed away and he ended up at HAWS. He is very social and a talker. Happy, happiest of Mother's Days to all Mothers and Pet Moms! Join Us For a Feel-Good Doggy Day! On the morning of Saturday, May 5th, something amazing will happen in our community and you and your dog(s) can be a part of it. So grab your dog and leash, and join the thousands who care to support local cancer patients on a two-mile route. REGISTRATION: 8 a.m. 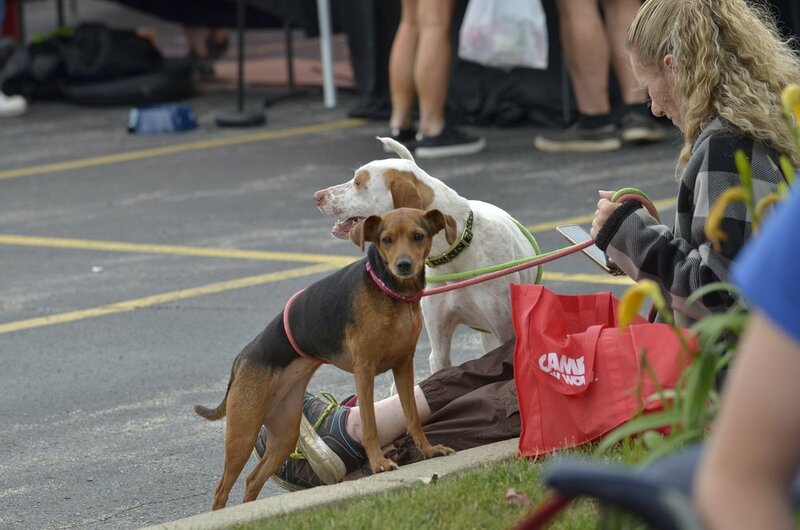 Walks begins at 10 a.m.
Walkers are also welcome at Frame Park in Waukesha, WI for RiverWalk for Cancer, but per city ordinance, four-legged friends must remain at home. All dogs at ParkWalk in Mukwonago receive a free bandana, donated by End of the Leash. Dogs at LakeWalk in Oconomowoc also receive free bandanas. We all know cancer survivors or someone who is going through cancer treatment right now. The Walks for Cancer offer you a way to help, to make a difference. To form a team or register as an individual, visit ProHealthCare.org/WalksForCancer. You also may register in person on May 5 at the parks. Or, you may make an online donation. Call 262-928-9255 for more information. Mark your calendars now for Summer Fun Day 2018!! This year's event is set for July 21st. Come have fun with us and Pier Pups! Hope to see you there!!! Various rescues will be here as well, like the folks from Arrow, Bichon & Little Buddies, Elmbrook Humane Society, and more! A delicious variety of food will be provided again this year by Winston's Wishes! Keep watching our Facebook page for Summer Fun Sales and additional Vendors! Couleann is an 8 year old Chihuahua Mix. HAWS is recommending children of any age as he has tolerated everything. Couleann is food motivated and is working on losing some weight; this will involve limiting treats. He has done okay with other dogs at the shelter as well. If you want a small dog with a big personality, then he is the dog for you! Jack is a Catahoula Leopard Dog Mix. He is 1 year old and energetic! If you are looking for an interactive alarm system that you feed, you should stop in to meet Jack today. His previous owner mentioned he is house trained, and once he trusts you he will be a faithful companion. Thanks for visiting. Stop in and say hello soon!